On 31 December 2009, the EU Council had 1,371,608 documents of which 24.2% were not publicly accessible (>300,000). 22,686 documents were only partially accessible. In 2009, the Council's online register had 554,952 different visitors viewing 10,011,440 screens. 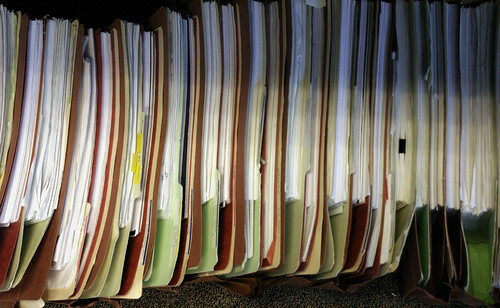 In 2009, 425 documents were produced as "Confidential" and 20 as "Secret". Only 156 of the former and 1 of the latter are actually mentioned in the online register. There is no mentioning of the number of documents classified "Top Secret". Requests for access were made to 8,443 documents that were not public. 6,452 (76.4%) of them were actually released, fully or partially. Most of the applicants (28.2%) came from Belgium. 5.6% of the refusals were for reasons of public security, 3.5% concerned military matters. Only three complaints regarding refusal to receive access to documents were made to the European Ombudsman, one of them regarding ACTA. This picture is similar to the interest group population in Brussels: CEE countries are lagging behind and are rather represented through the European and international organisations (which may let them appear under the "Belgium" category).